Some technology in our lives become things that we depend on from day to day. Mobile phones are certainly fit in to that guise. I first used a mobile phone back in 1986, but it was only on loan to me for a business trip. Back then phones used analogue technology. Modern day GSM phones were not available then. They were also still very expensive. Not many people had mobiles back then. It wasn’t until 1995 that we got our first mobile a Nokia Orange. It was a GSM phone, but phones of this sort or era would struggle to last more than a couple of days on a single battery. I used that one for a couple of years before we got a couple of Nokia 702’s a bit more chunky but better battery life. Then in 1999, along came the Nokia 7110, it was quite a revelation at the time. A big screen a roller for navigation. It supported WAP. A slider covers up the keyboard when you aren’t using it. The previous phones were recycled, but this one I couldn’t part with. Sure it got replaced with more modern phones, colour displays, cameras, all the things we now expect as usual in a phone. But I kept the 7110 going on Orange just for the Orange film Wednesdays. It wasn’t until the other day that I realised that the 7110 was now over 10 years old. It still works, I quite like using it as a second phone, the large display is great because I can read it without my reading glasses. Sure it’s simple but for a phone for texting (it has predictive texting) or for calls it’s fine. Contrast this with another gadget I found in the cupboard the other day a Sony MZ-NF810 Mini Disc recorder. 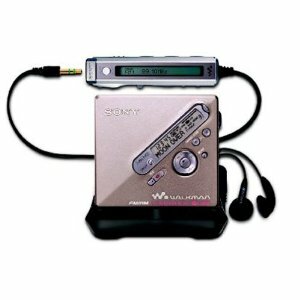 I bought this for my wife Alison in about 2004, this was just before iPods took off, but at the time she wanted something with an FM radio. Alison moved on to an iPod Nano and like other bits of technology the Mini Disc recorder got put away in the cupboard. Those gadgets were a blast from the past. 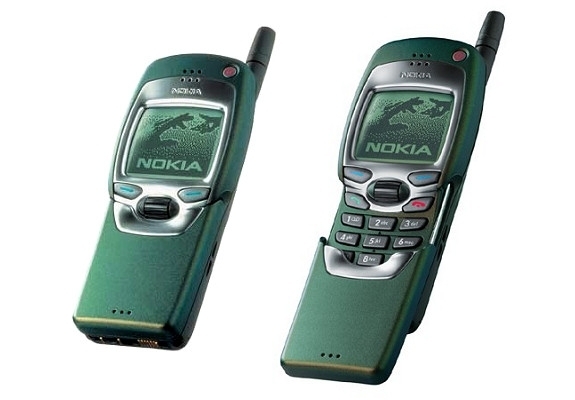 My first mobile was in 1996 and was a HUGE Motorola and I then had various Nokias (before moving onto a dreadful Sony Eriksson and then smartphones). I also had a Sony discman which I upgraded to an iPod (one of the 1G iPod which was the size (if not larger) than a pack of cards (with a black and white screen). How quickly technology changes…. I have a MD recorder with excellent recording quality, much better than any dedicated recording equipment I ever tried from my employer. Later I found out that journalists seem to like that specific model because of the good quality (getting rid of background noise etc). There were some MD drives for computers in the early days, but all the complications of the MD system, mainly because of the copy protection built-in, didn’t help, especially once MP3s took off. Unfortunately most buttons stopped working which seems to be a common problem with this specific model of MD recorder…. I also used it to record shortwave radio transmissions with poor SINPO. The playback is of a much better quality than the original (some DSPs at work? ).